Sometimes one trend leads to another. You’ve already been briefed about (and by now, probably witnessed) the Western effect with designers embracing everything from cowboy boots to studded jackets. (Elie Saab even based his entire Pre-Fall 2018 collection on the American frontier.) That’s probably why fringe has become as ubiquitous as berets. Call it a fringe benefit, but the free-flowing strands, a main feature of a lot of Westernwear, have manifested into a real must-have accent. 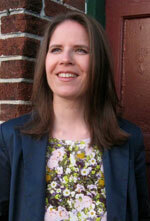 It’s gone on to decorate dresses, blazers, sweaters, pants…you get the idea. 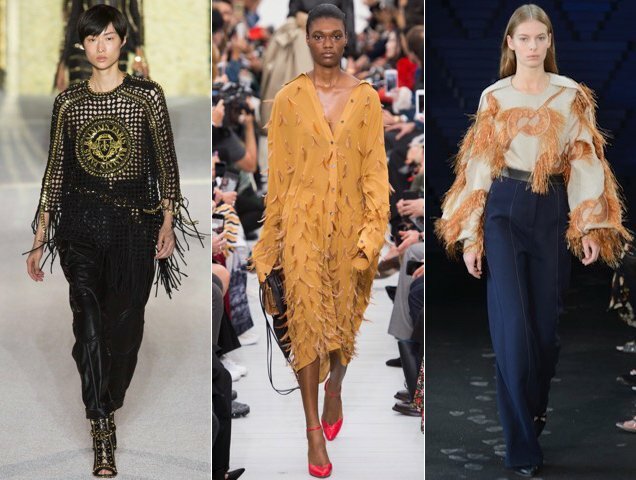 In fact, both the Fall 2017 and Spring 2018 runways were dripping with fringe, proving its ability to cross seasons. 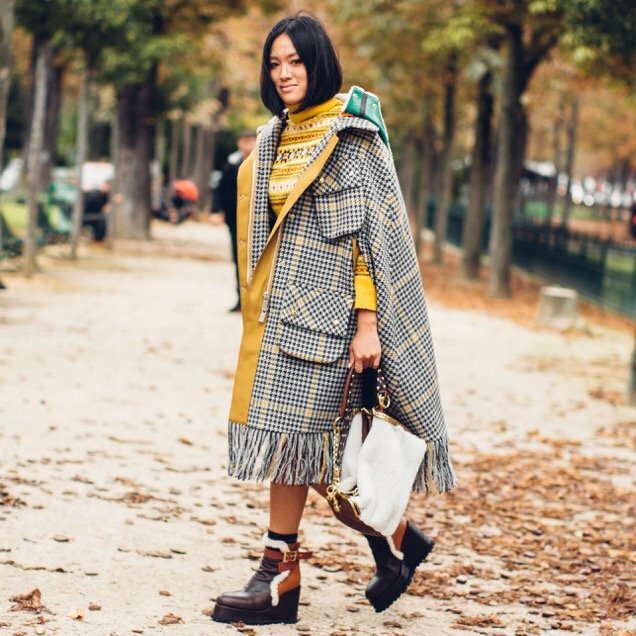 For fall, designers used it as a layering device. The fringe on John Galliano’s eggplant sweater served as a pseudo skirt partially obscuring the complementary slacks. Sacai made athleisure toastier by teaming a wool fringe colorblock jacket with an equally fringe-tastic skirt. 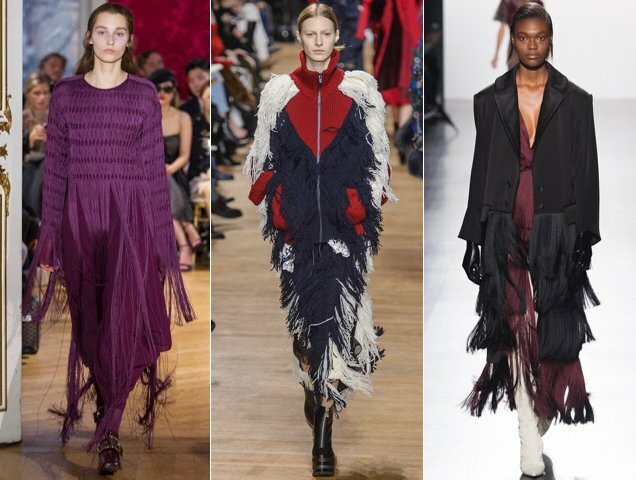 Prabal Gurung doubled up on fringe by slipping a black coat over a burgundy dress, each boasting a steady stream on the bottom half. We also saw fringe at Alexander McQueen, Sonia Rykiel, Christian Dior, Giorgio Armani, Louis Vuitton, Michael Kors, etc. Cut to Spring 2018, where some of the sleeves and hems at Balmain came shredded for maximum swing factor. Celine added fringe to red carpet-worthy gowns and even a sherbet shirtdress. Roksanda also opted for (golden) orange fringe, using it to jazz up a top, skirt and dress. Monse, Rachel Comey, Calvin Klein, Salvatore Ferragamo and more favored fringe for spring. Now that you’re in the know, it’s time to get shopping. You may already have some fringe in your wardrobe thanks to the Western uprising but there’s always room for more. Here are 16 ways to flaunt fringe right now.